So when does alternative lending makes sense — or not make sense — for your business? And if it is right for you, what are your options? We take a look at when and when not to seek alternative business funding and provide choices based on your needs. Alternative lending has multiple upsides — among them, speed, convenience and looser requirements than for traditional loans. But it’s essential to compare loans by APR and make sure you can handle the required payments. You're ready to get your new business off the ground and may already have discovered that finding financing can be a challenge. We've rounded up some strategies to help you get your company launched. Because you have strong personal credit, you could qualify for a line of credit through BlueVine or OnDeck that would help you meet daily expenses and maintain inventory. If you've been in business at least a year and have at least $100,000 in annual revenue, consider OnDeck, whose maximum APR is lower than BlueVine’s. If your annual revenue starts at $60,000, BlueVine is a better bet. BlueVine also offers invoice factoring, a type of financing that advances you cash based on your unpaid customer invoices. Microloans and personal loans are good options to finance your inventory and daily expenses if you’re an established business but make less than $25,000 in revenue. Microloans through nonprofits and the SBA usually have low APR and manageable payment terms, but you'd have to deal with stringent requirements. Personal loans are easier to access, but the APR can be higher than with microloans. With strong personal credit and an established business, you may be eligible for an SBA loan, which offers low APRs and longer terms. SmartBiz is a good option if you have at least $50,000 in annual revenue. For smaller loans (under $100,000) and less stringent requirements, StreetShares offers a line of credit, a good alternative, especially for military veterans. You need $25,000 in annual revenue to qualify for StreetShares. For established businesses making more than $60,000 annually, SmartBiz and Lending Club are solid choices. If you want the lowest rates and longer repayment terms, SmartBiz is the best option because it offers SBA loans. If you have $75,000 or more in annual sales and prefer flexible financing, consider Lending Club's line of credit. For established businesses with annual sales of $150,000 or more, SmartBiz and Funding Circle offer good financing options. You’ll get lower APRs with SmartBiz, which offers SBA loans, but Funding Circle has a less rigorous and shorter application process. Funding Circle also has a higher maximum loan amount of $500,000 compared with SmartBiz's $350,000. For young businesses that deal with a lot of customer invoices, consider taking a cash advance against those outstanding receivables. Both BlueVine and Fundbox offer the financing option commonly known as invoice factoring. If you have at least $120,000 in annual revenue, BlueVine offers up to 85% of your total invoices, up to $2 million. Fundbox does not require a minimum revenue amount, but you must have at least six months of activity with a compatible online accounting software such as QuickBooks. Fundbox advances you 100% of your total invoice but only up to $100,000. Because your personal credit score is in the 600s, you may qualify for a line of credit from BlueVine or OnDeck to help meet daily expenses and maintain inventory. 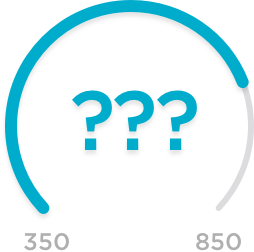 OnDeck offers a higher credit limit and lower APRs than BlueVine. For businesses with at least nine months in operation and $75,000 in annual revenue, OnDeck is a good option. If you have less time in business and less revenue, consider BlueVine. Because you deal with a lot of unpaid customer invoices, consider BlueVine and Fundbox financing to help meet everyday expenses. They each provide a cash advance against outstanding invoices. BlueVine has a higher cash-advance cap of $2 million, compared with Fundbox’s $100,000. BlueVine is a good bet if you have at least $120,000 in annual revenue and your customers have strong credit. If you’re a young business with limited revenue, consider Fundbox, which does not require a minimum revenue or personal credit score. You must, however, have at least six months of activity in an online accounting software such as QuickBooks to qualify for Fundbox. OnDeck and Kabbage are good options when you need cash for everyday expenses and inventory but your personal credit score still needs some work. If you have at least $100,000 in annual revenue and a personal credit score of 500 or more, you may qualify for OnDeck’s term loan. For businesses with lower revenue, consider Kabbage, which also does not require a minimum personal credit score. You’ll get high APRs with both lenders. You should turn to these options mainly for short-term needs or emergencies and only if you're sure you have the cash flow to cover the financing costs. Because you're just starting out and your personal credit score is below 600, your best bet is microloans through nonprofit lenders or the U.S. Small Business Administration. The downside is these are "micro" amounts of money, usually no more than $50,000. However, many microlenders help businesses grow and establish better credit. SBA microloans generally have an APR of 8% to 8.5% and manageable repayment terms. Successfully repaying microloans will boost your credit score and make you eligible for bigger financing. When you have strong personal credit and a young business with a lot of unpaid customer invoices, BlueVine and Fundbox are good financing options. Both offer invoice factoring at similar costs. Where they differ: minimum revenue and minimum credit score. With BlueVine, you need at least $120,000 in revenue and a minimum 530 personal credit score. Fundbox does not require a minimum revenue or credit score; the lender does require at least six months of activity in a compatible online accounting software. As a young entrepreneur with strong personal credit, you may find it easier to qualify for a personal loan or a business credit card. Personal loans and business credit cards are also decent options for startups because approval is based on personal credit score rather than business history. The amount you can finance is typically smaller than with a term loan, however, and you need good credit to qualify. Keep in mind that failure to repay can ruin your personal credit. Because you have strong credit but your revenue doesn’t quite meet the requirements of most online lenders, consider Fundbox or a business credit card. Business credit cards are a solid option for ongoing working capital and provide quick access to cash, spending rewards and sign-up bonuses. If your business has unpaid customer invoices, you can take a cash advance against those invoices through Fundbox, although you’ll likely pay a higher APR than you would with a business credit card. • Must use online accounting software that can link to Fundbox (such as QuickBooks, FreshBooks, Harvest). For young businesses building revenue, StreetShares is a good bet for financing new equipment or an expansion. Your strong personal credit and revenue of at least $25,000 qualify you for the lender, which serves a variety of borrowers but is an especially good option for U.S. military veterans. With a strong personal credit score and at least one year in business, you can turn to StreetShares and OnDeck for equipment and expansion financing. StreetShares is better if you’re seeking a smaller amount of financing: You just need $25,000 in annual revenue to qualify for its term loan, which maxes out at $100,000. If you have at least $100,000 in revenue, OnDeck, with loans up to $500,000, is better suited for more mature businesses seeking larger amounts of financing. Since you have strong personal credit but are still building revenue, you can turn to microloans or personal loans for financing. Microloans are designed especially to help underserved entrepreneurs launch and grow their businesses, but the loans are small and can carry APRs in the low teens. With strong credit, personal loans are another option, but funding typically tops out at $35,000. SmartBiz and StreetShares are good options for entrepreneurs with strong personal credit and established businesses. SmartBiz provides SBA loans with the lowest APR and longest repayment terms among online lenders. But since it’s an SBA loan, the application process will involve a lot of documents. If you want funding faster, StreetShares is an alternative. StreetShares, however, has a maximum borrowing limit of $100,000, a higher APR and shorter repayment terms than SmartBiz. With your strong personal credit and steady revenue, Lending Club, SmartBiz and OnDeck are good choices for expansion or refinancing. If you want the lowest rates, consider SmartBiz, which provides SBA loans. For big investments, OnDeck has the highest loan limit -- $500,000 -- but the loans will likely cost you more. Lending Club is a middle-ground option, with lower APR than OnDeck and easier qualifications than SmartBiz. Since your business is established and your revenue is solid, Funding Circle, SmartBiz and Credibility Capital are good financing options. SmartBiz, with loans up to $350,000, has low-rate SBA loans, but the application and funding process can take several weeks to a few months. If you want funding quicker, Funding Circle and Credibility Capital are alternatives. Since you've been in business more than a year and have decent credit, you may qualify for funding from StreetShares or OnDeck. If you have at least $25,000 in revenue, StreetShares offers a loan or line of credit up to $100,000. If you want more funding, OnDeck has term loans of up to $500,000. OnDeck’s loans, however, can be costlier, with APRs as high as 98%; StreetShares’ funding has a maximum 40% APR. Since you have unpaid customer invoices, you can turn to BlueVine and Fundbox for a cash advance against those receivables. BlueVine is a good choice if you have credit-strong clients and large outstanding payments up to $2 million. If you’re looking to finance a smaller amount, Fundbox covers 100% of your unpaid invoices up to $100,000. To qualify, you need at least six months of activity in a compatible online accounting software such as QuickBooks. Since your new company earns less than $25,000, microloans and personal loans are good options for necessary capital. Microloans through nonprofits and the SBA usually have low APRs and manageable payment terms. If your credit is in the high 600s, you can opt for a personal loan, though they often aren't available for more than $35,000 and tend to come with higher APRs than microloans. If your company is on track to make more than $25,000 in annual revenue but you’ve been open less than a year, you can turn to microloans and personal loans for financing. Microloans come in small amounts and have low APRs and manageable repayment terms. If your credit is in the high 600s, you can opt for a personal loan, though they often aren't available for more than $35,000. A term loan is ideal for expansion and buying equipment, so consider StreetShares if you have at least $100,000 in revenue and six months in business. For businesses that are younger and have less revenue, BlueVine is a better bet. If borrowing costs are important to you, StreetShares offers lower APRs than BlueVine. For newer businesses with steady revenue, a term loan from StreetShares is a good option. If you have at least $100,000 in revenue and have been in business six months or more, you can qualify for StreetShares. Since your business has steady revenue and has been operating for more than a year, consider OnDeck and Kabbage. If your personal credit score is at least 500, OnDeck offers term loans up to $500,000, which is an attractive option for large expansion projects or buying expensive equipment. If you’re looking for short-term financing or need a smaller amount, consider Kabbage, which does not require a minimum credit score. Kabbage offers only six- or 12-month financing of up to $250,000 at high borrowing costs. Since you have unpaid customer invoices, you can turn to BlueVine and Fundbox for a cash advance against those receivables. If you make at least $120,000 in annual revenue, BlueVine will cover 85% of invoices up to $2 million. BlueVine is a good choice if you have credit-strong clients and large outstanding payments. If you’re looking to finance a smaller amount, Fundbox covers 100% of your unpaid invoices up to $100,000. To qualify, you need at least six months of activity in a compatible online accounting software such as QuickBooks. Because you're just starting out and your personal credit score is below 600, your best bet is microloans through nonprofit lenders or the Small Business Administration. The downside is that these are "micro" amounts of money, usually no more than $50,000. Many microlenders, however, help businesses grow and establish better credit. SBA microloans generally have APRs of 8% to 8.5% with manageable repayment terms. Successfully repaying microloans will boost your credit score and make you eligible for bigger financing. Invoice factoring, also known as invoice financing or accounts receivable financing, is an option for small businesses that deal with unpaid invoices. Instead of waiting to be paid, you can get an advance on those invoices, which you then pay back along with a fee when your customers settle their accounts. Banks still offer the best deals, especially federally guaranteed U.S. Small Business Administration loans. But those are usually tough to get — especially if your personal credit is less than stellar. You’ll deal with stringent requirements and a long wait. Alternative lending offers a way to deal with a pressing business need or an emergency. If your plumbing goes out or you suddenly run out of supplies, you can’t really wait weeks, or even days, to fix the problem. Quick access to capital allows you to deal with the problem immediately. With bank loans, especially financing backed by the SBA, you must submit a long list of documents, including business leases and a detailed financial history. Many online lenders require fewer documents, and their main focus often is whether you have the cash flow to make the payments. Alternative lenders also provide longer-term loans to invest in growth, such as opening a new store or hiring more workers. Again, in exchange for quicker and easier access, your borrowing costs are likely to be higher. A few online lenders offer APRs in the single digits, but you need excellent personal credit and a profitable, growing business to qualify for them. Why? One reason is that most online lenders also require shorter loan terms, which mean higher regular payments. Also, the borrowers these lenders encounter tend to be those that traditional banks deemed too risky to lend to. In setting higher rates, alternative lenders are baking in the higher likelihood that they’re not going to get paid back. To add to your pain, most online lenders get their funding from capital markets, where investors want a high return for their money. That means the lenders set even higher interest rates so their loans will be profitable. Andrew L. Wang is a staff writer at NerdWallet, a personal finance website. Email: awang@nerdwallet.com. Twitter: @andrew_L_wang. Benjamin Pimentel contributed to this report.